Surface water pollution in megacities is strongly linked to human and environmental health, and surface water quality has deteriorated sharply recently because of increasing persistent halogenated organic pollutant (HOP) concentrations. In the present study, we collected 112 water samples from 14 lakes and 11 drinking water sources in Wuhan, China, and analyzed them for two typical groups of HOPs: polychlorinated biphenyls (PCBs) and polybrominated diphenyl ethers (PBDEs). The mean values of the ΣPCB concentrations were 4.34 and 10.05 ng L−1 in winter and summer, respectively. For ΣPBDE concentrations, the mean values were 0.88 and 1.53 ng L−1 in winter and summer, respectively. The PCB and PBDE concentrations at most sites in summer were significantly higher than those in winter, probably because of heavy stormwater runoff in summer. The degree of urbanization predicted from the population density was positively correlated with ΣPCB concentrations in the drinking water sources in summer. PBDE and PCB composition analysis suggested the major sources were penta-BDE and Aroclor mixtures. Risk assessments showed the PBDEs in water from the Zhuankou site exceeded the threshold set by the European Union, which could result in adverse effects on aquatic organisms. 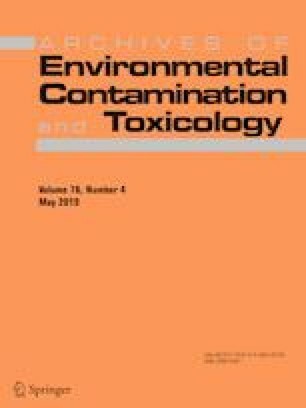 Negligible noncarcinogenic risks were found for PCBs and PBDEs in the surface water with regard to drinking and bathing. However, the carcinogenic risks of PCBs for bathing in surface water were higher than the safe level of 1.00 × 10−6, implying that the surface water in Wuhan is not safe for bathing. The online version of this article ( https://doi.org/10.1007/s00244-019-00622-z) contains supplementary material, which is available to authorized users. This project was supported by Natural Science Key Foundation of Hubei Province of China (Grant No. 2014CFA114) and the Hundred Talents Program of the Chinese Academy of Sciences (Grant No. Y329671K01).